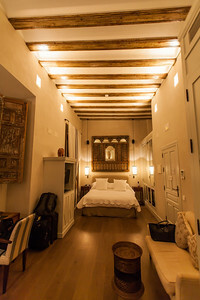 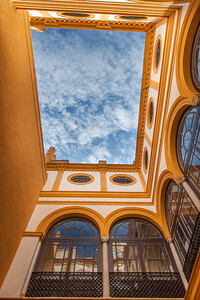 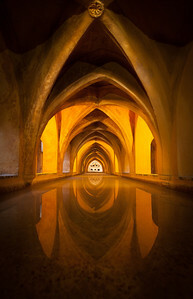 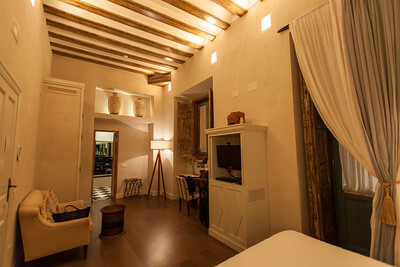 Hotel Corral del Ray in Seville, Spain. 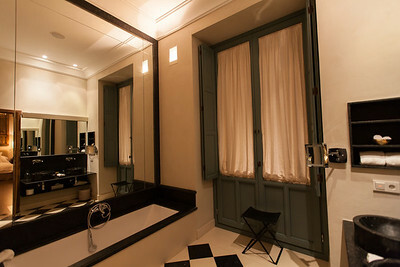 Wonderful place and fairly convenient location. 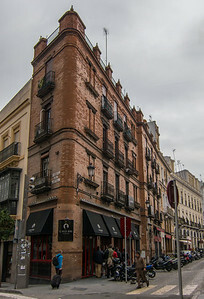 Tapas at Ovejas Negras. 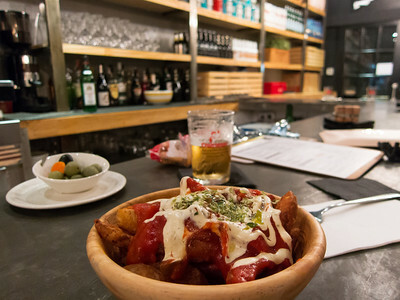 These were our favorite potatas bravas on the entire trip. 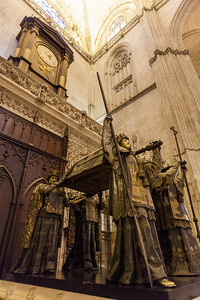 The tomb of Christopher Columbus in the Seville Cathedral. 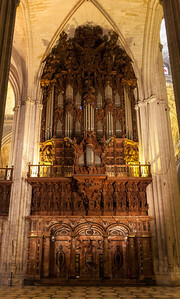 The organ at the Seville Cathedral. 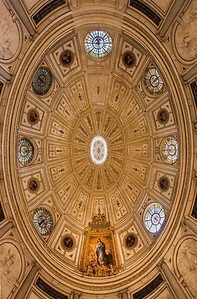 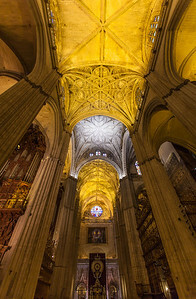 A view of the Renaissance vault ceiling inside the Seville Cathedral. 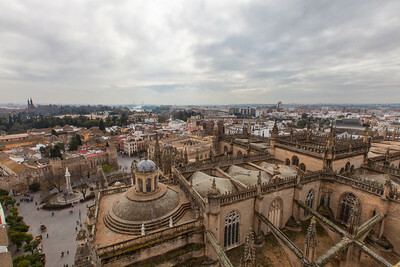 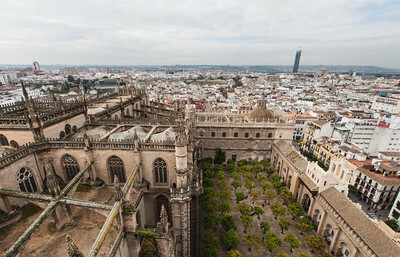 A view of the city and the Patio de los Naranjos (part of the from atop the Seville Cathedral. 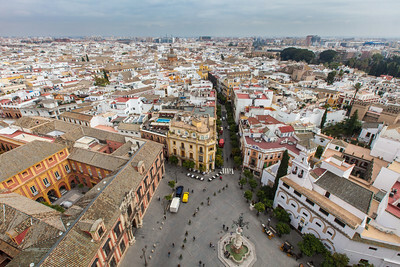 A view of the city and the Alcázar of Seville from atop the Seville Cathedral. 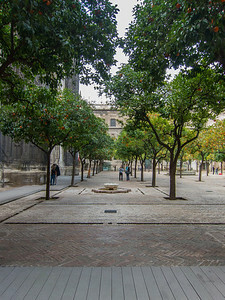 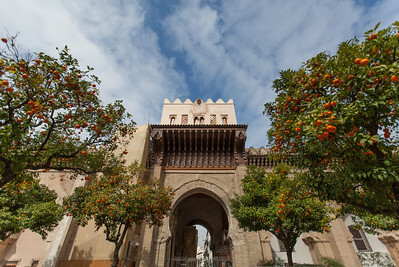 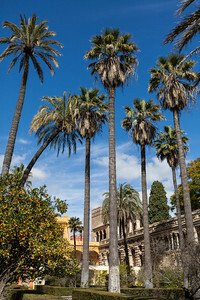 The Patio de los Naranjos (Patio of the Oranges) which is part of the Seville Cathedral, and formerly of the Almohad mosque. 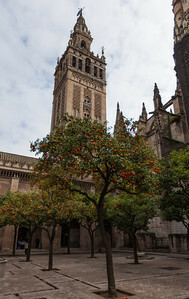 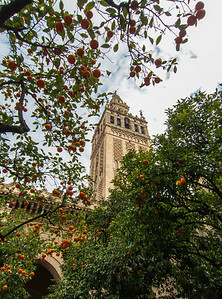 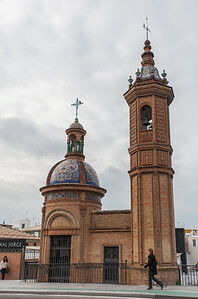 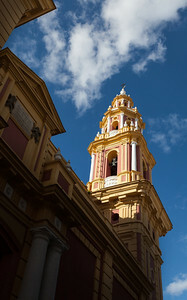 A view of the Giralda bell tower (minaret from the mosque formerly located here) from the Patio de los Naranjos. 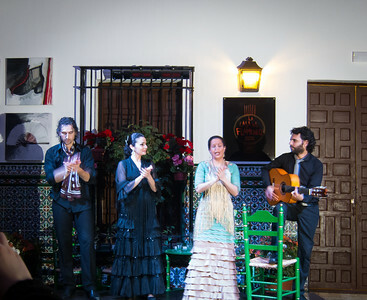 Final performance piece from the flamenco show. 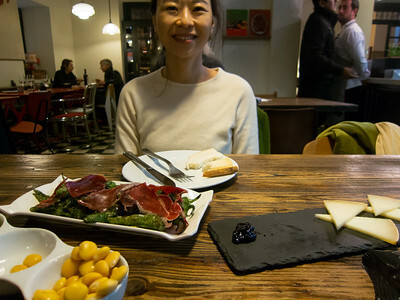 Tapas for dinner - the peppers and jamon were delicious! 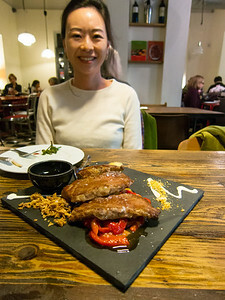 Pork (chop) - also delicious! 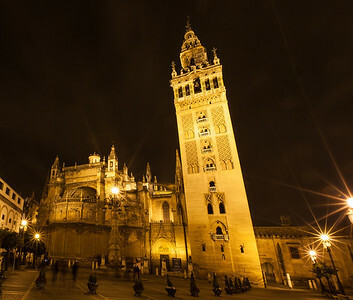 Seville cathedral and square at night. 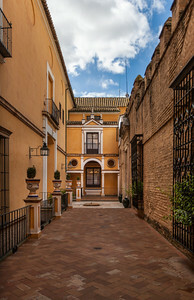 A typical street in Seville - this was near the Seville cathedral. 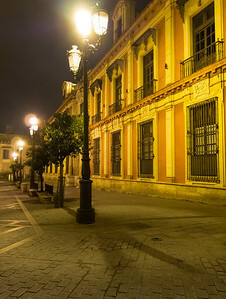 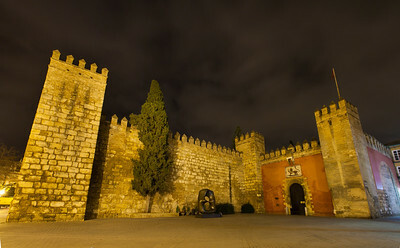 A nighttime view of the entrance of the Alcázar. 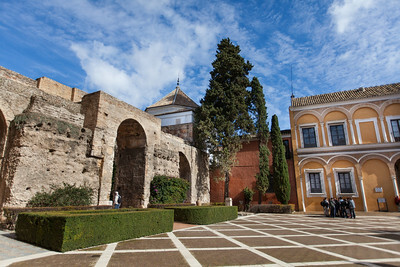 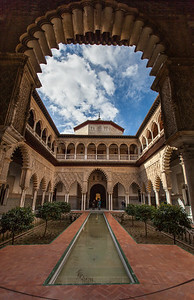 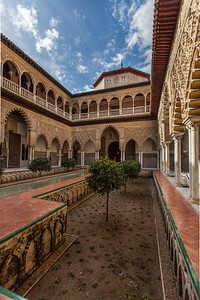 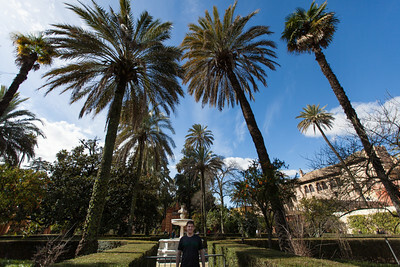 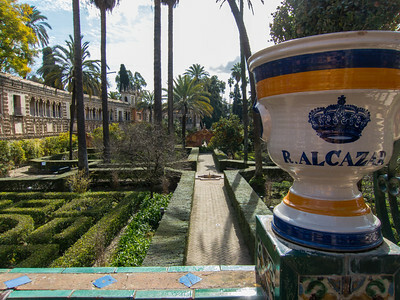 Courtyard of the Maidens inside the Alcázar. 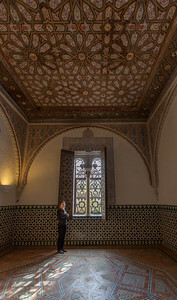 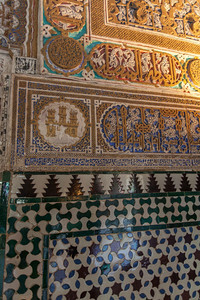 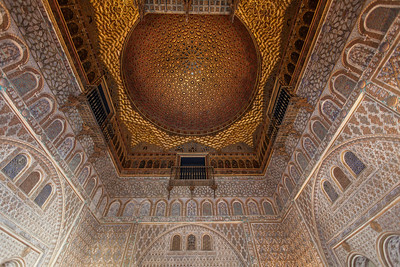 Beautiful ceiling inside the Alcázar. 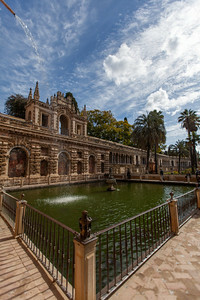 The water fountain and cistern in the Jardín del Estanque that makes up the original water source for the palace. 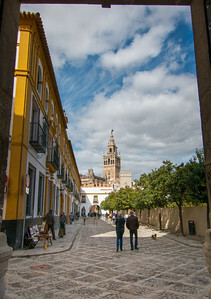 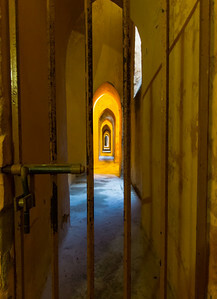 View of the Seville cathedral from the exit gate of the Alcázar. 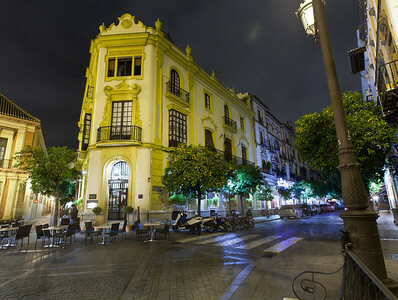 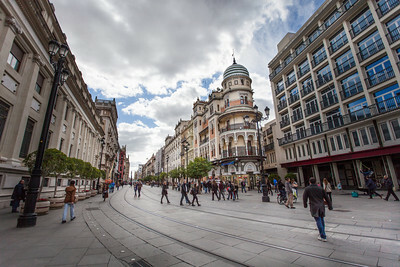 A view up the Avenida de la Constitución in Seville. 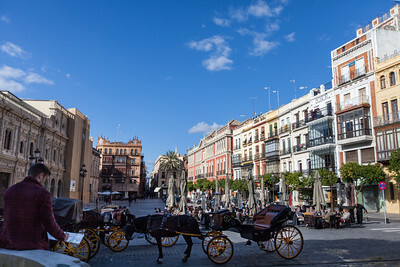 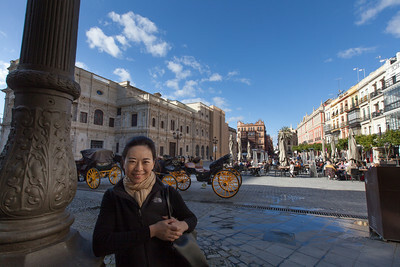 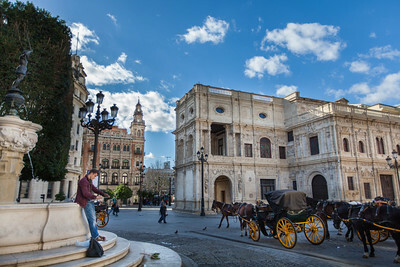 An artist drawing the horse-drawn carriages in the Plaza Nueva.